UPDATE: Only two of this design remain! To maintain exclusivity, the Bluestone House (like each of the designs in the Auhaus Release) will only ever be built 10 times before the plans are retired. Only 3 of this design remain. To enquire if this design is suitable for your block, please contact us. 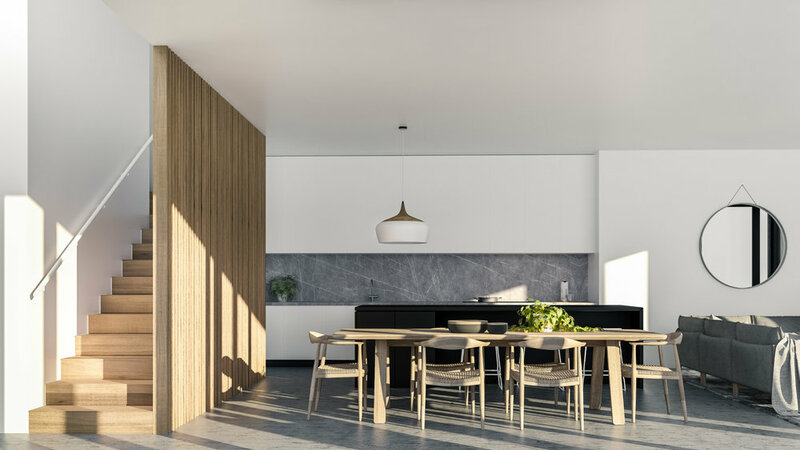 With a compact footprint, the double-storey Bluestone House design is well suited to inner city plots. 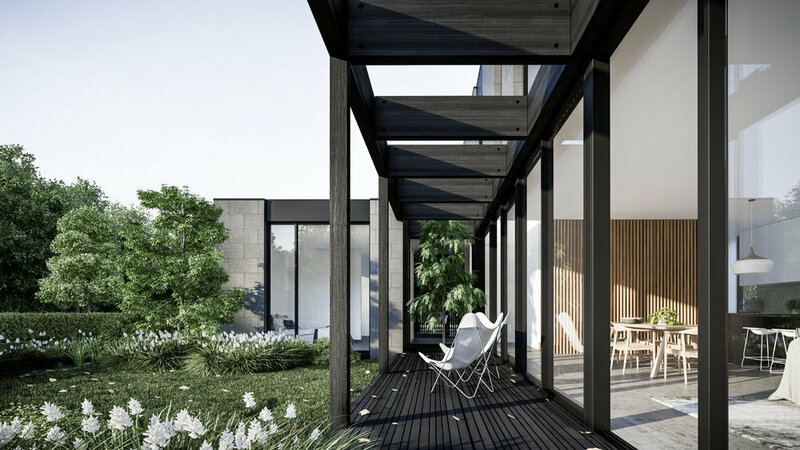 The house is split into two pavilions, linked by a glazed entry with views through to the main courtyard. 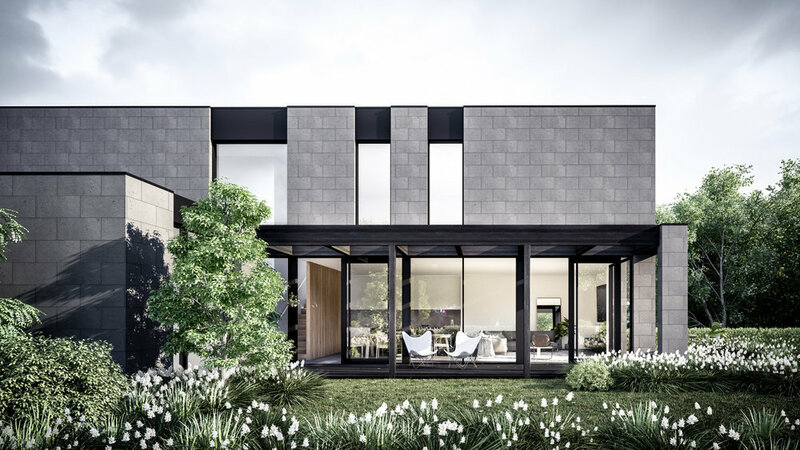 The simple building forms are clad in bluestone and black timber battening, resulting in a balanced composition of heavy and lightweight fabrications. 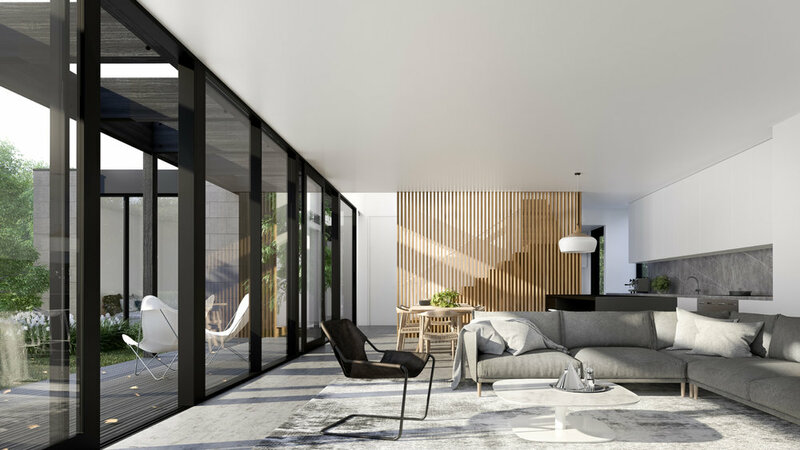 Living areas open up along the length of the ground floor, creating a strong connection to adjacent courtyard and garden areas. The master bedroom suite is separated into its own wing off to one side of the entry, providing views into the main courtyard whilst achieving a degree of separation from the main living and first floor children and guest quarters. 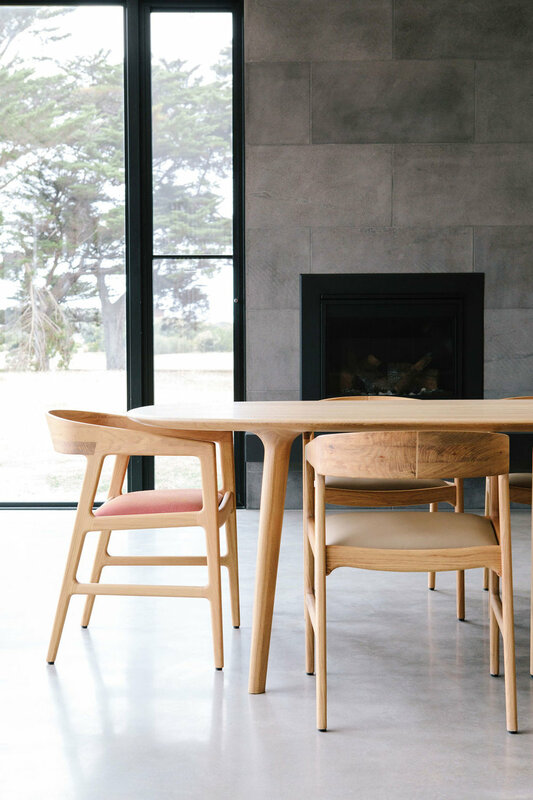 The Bluestone House and Frame House make up the two-level dwellings within the Auhaus Release.